STUDENTS from Our Lady Of Good Counsel Primary School let their bodies do the talking at their inaugural dance performance at Wakakirri. 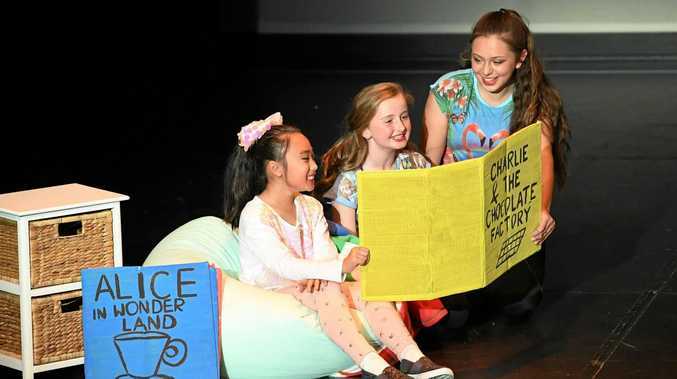 After 14 weeks of learning the choreographed routine, school children aged 8-12 travelled to Logan to tell the story of a young girl's battle with mental health. OLGC Year 6 teacher Bianca Brugioni said learning about the complexities of mental health was a significant lesson for children. "It's really important for students to be introduced to the concept of mental health and knowing that it's not just about mental illness but we all have a responsibility to look after our own mental health,” Miss Brugioni said. True to its Aboriginal meaning, Wakakirri, meaning to dance a story, is an event where students address topical issues of society on centre stage. In just a few minutes, the Gatton group danced the story of a young girl coming to grips with her new life living with disability. The narrative was expressed through drama, dance and creative movement taking the audience along for the ride as the main character came to terms with her new life through her love of books. "Approaching that (mental health) through drama and dance and a performing arts aspect just gives students a different way of being introduced to the topic on a level that they understand and they identify with,” Miss Brugioni said. The group won two awards on the night, one for team work and the other for best re-use of costumes, which were all made by teachers at the school. The 29 students did not make it to the next round of the competition but Miss Brugioni said she was proud of what they had achieved.